To say the Farm closed out the last quarter of the year with a bang, would be a monstrous understatement. As autumn was coming to a close and Old Man Winter was settling in with all of his white, fluffy goodness, we were anticipating a very special delivery. 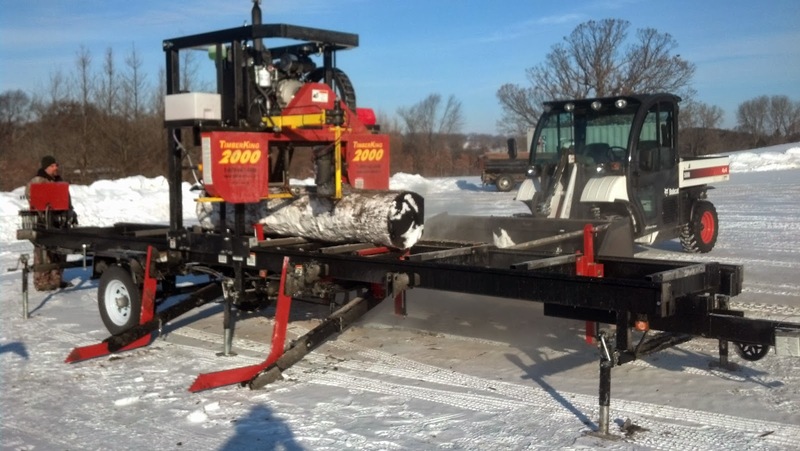 During the first week of November we ordered a TimberKing portable sawmill. The lead time on the order was four to six weeks. Needless to say, we were waiting anxiously and on Tuesday, December 31, the mill arrived. This photo isn't particularly in focus. Overnight lows were -10 and this picture was taken with temperatures having inched up only a handful of degrees. I suppose my phone camera didn't want to work in such extreme temps, and I can't blame it…..I didn't want to work in them either. One of the reasons the tree farm has had such success in forestry management, and I'd like to think a reason we won the Tree Farm of the year award, is because we have always had a plan. The addition of a sawmill is the Farms first major step of a new plan. The sawmill will give us the ability to efficiently cut logs into lumber. 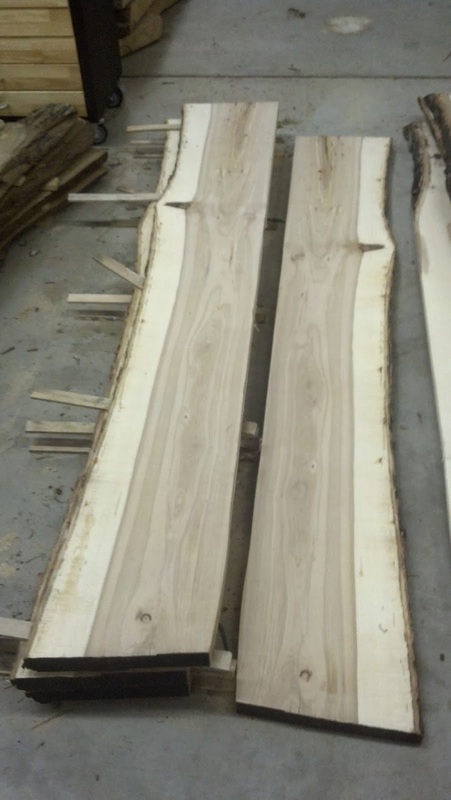 The farm has access to wood that will make beautiful slabs for coffee tables, dinning tables, desk, and benches. Here is a photo of book matched hickory. The next few steps of this new plan include building a kiln out of a storage container and creating a space in the Husker Barn to do woodworking. Stay tuned, if we get some warmer weather, I'll do a post on using the sawmill. Additionally, I'll share with you my furniture design ideas, think live-edged slabs with metal bases. And also, how to create a kiln out of a shipping container.